At Modern Litho, we’re huge advocates of sustainability and we believe in doing our part to preserve and protect our natural resources. Two Sides NA is a nonprofit organization that is charged with communicating the truth about paper as a fully renewable resource. 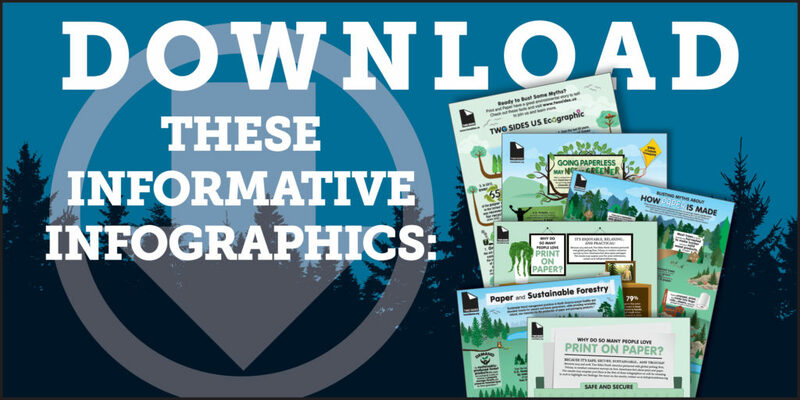 As you will see in these powerful infographics, paper is often not only a preferred communication vehicle but a sustainable one as well.